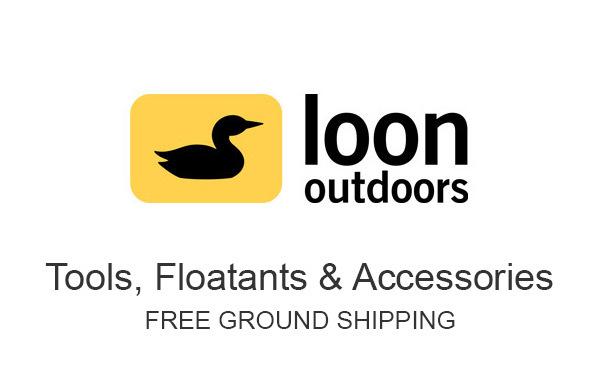 Loon Outdoors is a company that manufacturers fly fishing floatants, gear maintenance products, tools, sinking agents and many gear storage attachments for your vest or pack. Loon Outdoors is headquartered in Ashland, Oregon. Loon’s business model has always put the environment high on their list of priorities. They refer to their way of doing business as “fishing with a conscience”. For instance, Loon floatants are solvent free. Nothing they make can harm the environment, people, fish or wildlife. Loon fly tying cements and paints are non-toxic and odorless. Loon Outdoors products perform. They do not compromise quality or performance, while still being kind to our rivers and lakes. Loon recycles everything. Even the packing materials we see, when orders arrive at the shop, were first used for something else. They pretty much operate paperless at their office. Browse through Loon Outdoors' offering of fly fishing gear and products made to make your fly fishing experience better, while knowing Loon is doing everything possible to protect our environment and fishermen.